A Clodhopper found itself at Kafe 1788 in Poplar for the first time, the UK's first Haitian coffee shop using single origin coffee beans from the former colony. 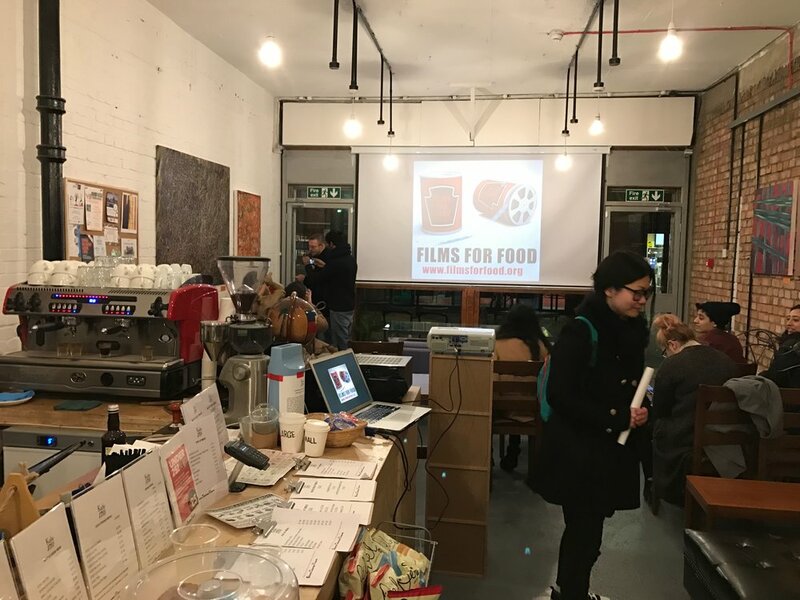 It was for a 'Films for Food' night the cafe was hosting in conjunction with the Rainbow Collective. Started by Richard Macien-Clarke it has fast become a coffee hub featuring yoga classes, open mic nights, Haitian food pop-ups as well as artists regularly exhibiting on the walls upstairs and in the basement. Richard, who hails from the capital Port-au-Prince, said the idea was born at the Port aux Princes Airport in 2014 - five years after the devastating earthquake that flattened the country's infrastructure and killed hundreds of thousands. The cafe's name is an amalgam of Haitian homages, one to its history and the other to it's vernacular, Richard says the 1788 is inspired by the year when Haiti was considered the “Pearl of the West Indies” adding “As a colony Haiti was most profitable and productive than any other colony. During that time 60% of the world consumption of Coffee was from Haiti..” History also tells us it is the eve of the French revolution that would eventually lead to Haiti's independence some years later. And the Kafe in the name simply comes from the the Creole word for...coffee. When asked how a traditionally white, working class area has dealt with the new 'Hatian' on the block Richard said it's been mainly positive and that they haven't cared about his nationality, if anything it was the cost of a non instant cup of coffee that they took issue with [see video below]. Richard Macien-Clarke talks about opening a Hatian cafe in London's East end. Kafe 1788 also works as a social enterprise in a way (note it is a limited company), the coffee it serves is bought from independent producers in Haiti as green beans and freshly roasted in the UK a week before customers take a sip. Richard says it is a way to give back to the country he was born in “I have been thinking that Haiti will need something more so the country could go back to his glory.” With this in mind and the regular events that happen there it's no surprise he used the venue to host our friends at the Rainbow Collective for their 'Films for Food' night. The regular screenings, which have arrived for the first time at Kafe 1788, are free except that your ticket is a bag of non-perishable food that is donated to the First Love Foundation. Also known as the 'Tower Hamlets Foodbank' which works with local people providing food as well as help and expertise to resolve their crisis. It was wonderful to see that the table was nearly overflowing with cans and dried goods to be donated – A Clodhopper contributed too of course (you can see the donations on our Facebook live video)! The film showing at Kafe 1788 was Rainbow Collective's feature length documentary 'Mass e Bhat' which was filmed over 5 years in Bangladesh. It takes a hard-hitting look at child labour in the country using 20-year-old Nasir, who is now a social worker in the slums, and tells his stories about being a child labourer. This narrative is brilliantly juxtaposed with real life children who are doing the same jobs he did – you meet endearing characters who have no choice but to sift through waste in garbage dumps, work in garment factories underage and live at train stations carrying luggage and collecting plastic bottles for almost enough to eat. Kafe 1788 will be hosting the next Films for Food screening which is music documentary 'They Will Have to Kill Us First' on the 22 December. The feature doc tells the story of when music was banned in Northern Mali after it was taken over by radical Islamists forcing musicians into exile. A Clodhopper will be hosting the Q&A with director Johanna Schwartz afterwards so come on down. Until then, or thereafter, you should head to Kafe 1788 for a sip of coffee from the “Pearl of the West Indies”. They Will Have To Kill Us FIrst - Songhoy Blues from BBC Worldwide Music on Vimeo.